Carolina Designs Realty has been a trusted source for Outer Banks vacation homes since 1988! 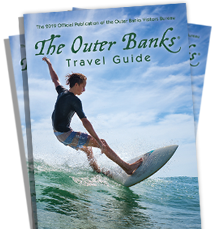 They have won “Best Vacation Rental Company” in the Outer Banks Best of the Beach contest five years in row. Carolina Designs Realty’s select inventory of 350 properties includes newly constructed beach retreats and 170+ oceanfront homes from Corolla to Nags Head. Many of their properties feature amenities such as private pools and beach accesses, home theaters, rec rooms, and pet-friendly options. Their guests enjoy convenient keyless entry, freshly made beds, towel sets, Wifi, and their signature Welcome Package. Reserve your next escape to the coast with Carolina Designs Realty, their seasoned customer service representatives are standing by 7 days a week to get you to the beach!